« Is m4/3 Still a Viable Choice? Updated to add Fuji Rumors link. It's that time of year. With most of the Japanese camera companies having now reported their fiscal year results, CIPA having provided their 2018 estimates and early revisions, and some actual real data from the year starting to accumulate, we've got lots of market share rumors and assertions and claims running around the Internet. Happens every year. The big one this year is the totally unverified rumor that an internal Fujifilm memo says by "2021 Fujifilm predicts a decrease in market share for Canon and Nikon of 50%." This originally appeared on Fuji Rumors, I believe (link to the article). I haven't added it to my Claims to Remember list because it isn't a verifiable claim. It's hearsay on a rumor site with a vested interest in Fujifilm's success. Canon and Nikon currently have 95% of 7.5m units (DSLRs). Fujifilm, Canon, Olympus, Panasonic, and Sony have about the same 95% of 3.9m units (mirrorless). Canon specifically claims in their audited financial information that they're at 48% of all ILC and should reach 50% this calendar year. That's 5.5m of the 11m units, DSLR and mirrorless. So, for Fujifilm's rumored claim to be true, Canon would have to hit 25% ILC sales, or 2.75m units. That alone would require them to lose DSLR market share to Nikon in the next three years! It would also assume that Canon had no significant mirrorless market share. Neither of those things seem at all likely. It also ignores what surveys of current Canon and Nikon owners show: many of those owning Canikon products are waiting for those two companies to produce more significant mirrorless models. The other problem with the Fujifilm rumor is that Sony is another factor. Sony sacrificed market share as it transitioned from DSLR to SLT to mirrorless to full frame mirrorless. They've now created a solid full frame lineup that's showing real growth in sales, though full frame is a smaller portion of overall ILC sales. I have no doubt they'll now defend their full frame products and start to backfill the entry level, crop-sensor products again. As far as anyone can tell, the current situation is this: Canon 50%, Nikon 22%, Sony 14%. That's 86% of all the DSLR/mirrorless units that are being produced, of which Canikon is 72%. The purported internal memo is said to claim that Canikon would therefore be at 36% in three sale years. That's a change from almost 8m units to 3.5m units in three years (using the current CIPA numbers and those 15% decline/20% increase estimates I noted above). I find that unfathomable. Moreover, for that to happen, Fujifilm, Olympus, Panasonic, and anyone else picking up that huge market share slice would have to pick up new sale outlets here in the US. That's a costly endeavor, as getting shelf space is not as simple as "we make a better product." coupled with Canon and Nikon fully entering all aspects of the mirrorless market (likely 6.2m units in 2021). What you have to look at if you're at all interested in the market share positions is this: mirrorless is currently about 4m units (12-month trailing average) with Canon, Sony, and Olympus being the three biggest players at the moment. Canon is going to add products, Sony is going to add products, and Nikon is going to re-enter. By 2021 that mirrorless market is going to be perhaps 6.2m units, so there's room for both Canon and Sony to expand and Nikon to enter. Expecting any of those three big players to fail completely is just irrational speculation. But let's run a scenario: let's assume that Nikon enters and can't get more than 10% of the mirrorless market and can only hold it's 20% of the DSLR market. That is still 1.5m units out of the 10.8m predicted. Let's further assume that Canon expands to 80% of the remaining DSLR market and can only grab 20% of the mirrorless market (below where they appear to be today). That's about 4.9m units. Hmm. Add those together we still have 6.4m units of 10.8m, which is about 60% of the market. The rumor predicts that they'd only have 3.9m units, which is lower than just the DSLR estimate alone (again with 15% decline every year between now and 2021). I call hogwash. Someone had a fantasy dream and decided to see if they could get others to believe it was predictive. The big three ILC companies are Canon, Nikon, and Sony. Indeed, they're the ones with the best fully global presence, with Canon and Sony having other major product categories than cameras that make them fully global, and which they leverage the cameras on. Nothing dramatic is going to happen with the Canon and Sony presence in the camera market. 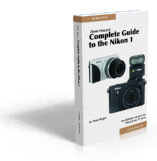 And, if Nikon is truly awake, they'll shore up their gaps, too. The safe bet is that Canikony currently have 86% of the ILC market share, and that in 2021 it's pretty likely that they'll have no less than 80%. Can Fujifilm, Olympus, Panasonic, and Pentax nibble a bit off in a flat market? Perhaps. But I'd say that the only way that market shares dramatically alter is if some company has a truly breakthrough product, one that renders even the current best mirrorless products as "not nearly as good." There are only three places that such a change could happen: the image sensor, the camera intelligence (CPU/AI), and the camera workflow (integration into the Internet). Who has the biggest sensor R&D? Canikony. Who has the biggest camera intelligence R&D? Canikony. Who has the parts necessary to integrate better with the Internet? Mostly Sony, but this is really a software thing more than a hardware one, so all the Japanese companies have issues here.